Journal of Pregnancy and Neonatal Medicine is an open access, peer reviewed, scholarly journal that focusses on the publication of research developments in the various aspects of fertility, pregnancy, child birth and neonatal care. Pregnancy and neonatal medicine research are of high significance and it is indispensable for assuring the good health of new mothers and babies. The journal integrates both the topics and aims towards contributing in the furtherance of research in the field of obstetric medicine and neonatal medicine. 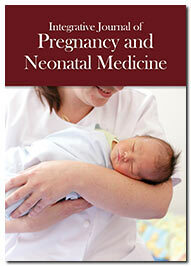 The scope of the journal includes novel research developments regarding pregnancy, management of signs and symptoms of pregnancy, Alpha fetoprotein, Fallopian tubes, Hydrocephalus, Pregnancy week by week, High risk pregnancy, Ectopic pregnancy, Fetal assessment, Caesarean section delivery, Neonatal care, Neonatal nursing, New born surgery, Neonatal apnea and Neonatal care injuries. In addition the journal also prioritizes worldwide dissemination of articles centred on clinical and medical developments and discrepancies in emergency neonatal care, maternal care, child health care services and other aspects of paediatric medicine and surgery. The journal welcomes manuscripts that highlight diagnosis and management of critical Neonatal injuries, High risk infant, Erythroblastosis fetalis, and Breech presentation, Pre-mature birth and Neonatal survival. Articles showcasing exegesis of neonatal intensive care unit, hospital new-born care services and management of obstetrical trauma are solicited.